Sternberg, along with her mother, two sisters, three brothers, a brother-in-law, a niece, an aunt and uncle, and her fiancé all entered into the hell of Auschwitz. She was the only one to leave alive again. At five o'clock on February 23, 1942, Nazi police, armed with rifles surrounded the hospital where Sternberg worked. Time had run out for the Jewish inhabitants of Breslau. There had been ten thousand Jewish inhabitants in the city prior to the rise of Nazis. By the end of the war only thirty-eight had escaped the gas chambers of the Nazi concentration camps. Sternberg's book relates episode after episode of events where she should have been killed, but for whatever reason, she was spared. Much has been written of the horrific events that occurred in Nazi Germany, yet it is rare that you are able to hear of these stories written by survivors themselves. Sternberg's book is therefore an invaluable source that uncovers the dark days that she spent in hell. 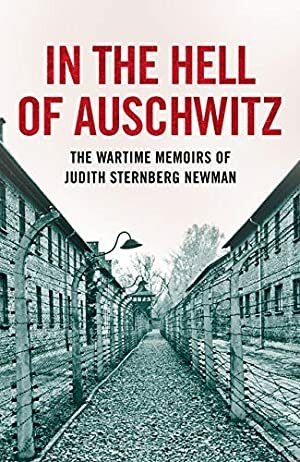 In the Hell of Auschwitz is a fascinating book that provides insights into the worst horrors of the Second World War. Although at points it is a difficult read, it should be read by everyone so that such horrors will never be allowed to occur again. After the war Judith Sternberg Newman married Senek Newman, a fellow concentration camp survivor, and emigrated to the United States 1947. She began writing her account immediately after arriving in the United States. She worked as a nurse in Providence, Rhode Island, until her retirement. In the Hell of Auschwitz was first published in 1963. Newman passed away in 2008. We started tracking this book on April 12, 2019.